Tooele High School first singles player Julio Aroyare returns the ball against Grantsville April 9. Aroyare defeated Stansbury’s Colton Christiansen Thursday in a close battle. The Tooele Buffaloes made a stronger showing the second time around against Stansbury in tennis. 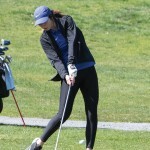 The Stallions shut out the Buffaloes 5-0 in the first match back on March 28 at Stansbury, but Tooele was able to win two matches in a repeat battle Thursday at Tooele. Stansbury still prevailed overall, winning the match 3-2. 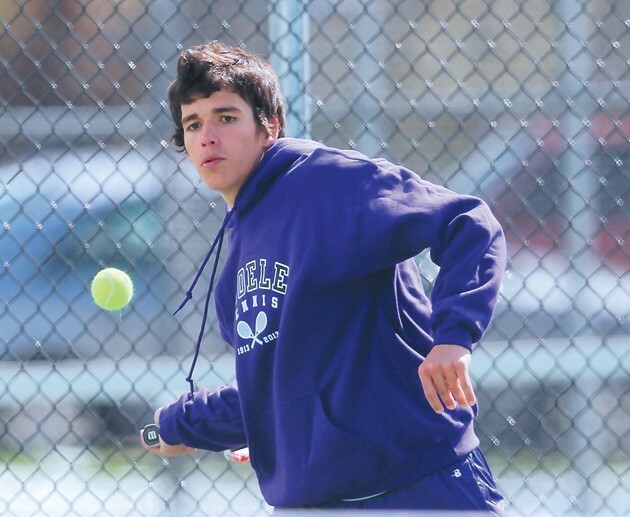 Tooele picked up victories at first singles and first doubles. Tooele’s Julio Aroyare defeated Colton Christiansen 7-5, 7-6 (8-6) at first singles. Jacob Nielson and Ivan Gonzales prevailed at first doubles with a 6-4, 7-5 victory over Jake Harris and Carlos Gomez. Stansbury picked up victories in the other three matches. The Stallions’ Logan McBride defeated Abraham Hernandez at second singles 6-2, 6-2, and Jake Hardy defeated Kole Carbery 6-1, 6-0 at third singles. Stansbury needed three sets to win the second doubles match. Dakota Fiddler and Jordan Jenkins defeated Jackson Nielson and Josh Orton 4-6, 6-3, 6-1. 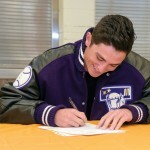 On April 11, the Ogden Tigers swept Tooele 0-5. Aroyare managed to win the second game against Ogden’s Dallen Whitehead 6-4, but Whitehead came back to win the match 2-6, 6-4, 5-7. The Tigers cruised to wins in the rest of the matches. 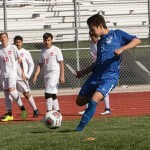 Tooele finishes out the regular season with home matches at Ben Lomond today, at Bear River Thursday, home against Bear River April 30 and home against Ben Lomond May 2. The region tournament is May 9 at Ogden with the state tournament May 17-18 in St. George.